In Cambridge, UK, there was a superbug outbreak at a special-care neonatal unit that lasted several months last year. Thanks to insights gained from whole-genome sequencing, the outbreak was stopped. The scientists reported their findings in the journal Lancet Infectious Disease. This is the first time that scientists have sequenced pathogen genomes to actively control an ongoing outbreak, with positive results. After three infants tested positive for methicilin-resistant Staphylococcus aureus (MRSA), clinical microbiologist Sharon Peacock and her team got involved. The bacteria were isolated and were resistant to a nearly identical spectrum of antibiotics, indicating that they came from a common source. Peacock continued to investigate whether the three cases were linked to a string of MRSA infections in the last six months. 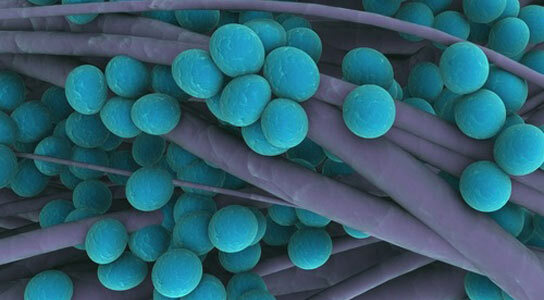 8 other children had been infected by MRSA strains with similar antibiotic-resistance profiles. However, weeks would pass without an infection, indicating that the bacteria weren’t spreading from baby to baby in the unit. Peacock’s team began sequencing the genomes of the MRSA strains from the unit, as well as similar strains collected from adult patients at other hospitals and doctor’s surgeries. They suspected that adult carriers could explain the long gaps between the infections in the baby unit. But days after the unit was sterilized, another baby tested positive with MRSA. Genome sequencing confirmed that the strain matched the other suspected cases. The team searched for possible infected adults among the 154 workers on the baby unit. 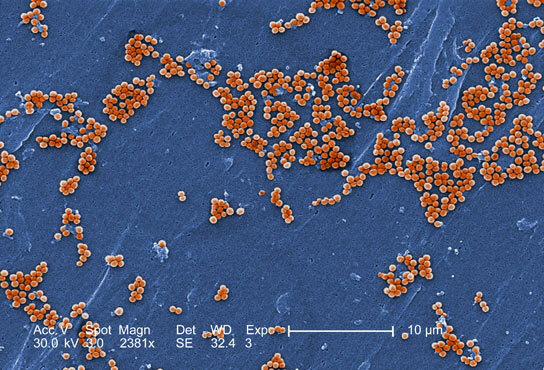 One tested positive for MRSA, despite showing no symptoms. This might have been the reason why there were gaps in the infections. There were additional infections among adults in the community, including parents who had contracted MRSA from their babies. There were 14 patients in total, six infants and eight adults, who developed serious infections. No one died. In this case, genome sequencing provided a clarity that couldn’t have been obtained otherwise, states Julian Parkhill, a microbiologist at the Wellcome Trust Sanger Institute near Cambridge, and co-author of this paper. Genome sequencing can reveal the series of small mutations that occur over the course of an outbreak, allowing epidemiologists to create an evolutionary tree and trace back to the suspected source. Be the first to comment on "Whole-Genome Analysis Identifies the Source of a Recent MRSA Outbreak"